When you're in the middle of a divorce, you can find plenty of things to argue with your spouse about. Your children, however, shouldn't be one of them! Your goal for your children should be to disrupt their lives as little as possible and to ensure that they have the things that they need. To this end, it's important to consider several key things throughout the divorce process. Consideration #1: What Do Your Children Need, Financially Speaking? Child support: it's a huge point of contention in many divorce cases. One spouse doesn't want to pay the other any more than is absolutely necessary; the custodial parent wants to be sure that the other parent is paying their fair share of any bills that might come up. According to Colorado State Law, one child should receive approximately 20% of the noncustodial parent's income; each additional child receives 10% more. This amount, however, doesn't take into consideration the real needs of the children, and many divorcing couples find themselves bickering over expenses for their children. Carefully consider what your child really need, financially speaking–and what you are in a position to provide for them. Does your child need money to help pay for clubs and hobbies? Sports are known to be expensive–and taking care of those expenses as a single parent is often a challenge, even with child support payments coming in. If you're the noncustodial parent, do you want to leave your child scrambling to pay for necessary equipment, uniforms, and fees, or do you want to be part of paying for those important experiences? Does your child need a car–and the gas and insurance that go along with it? Once you and your spouse split, your child may need to be more responsible than they were previously. They may need to provide more of their own transportation or even transportation for younger siblings. That means a car, insurance, and gas–and those things aren't typically included in child support payments. How do you want to help contribute to your child's medical care? Medical care is expensive. Even taking your child into the doctor for a minor bacterial infection can add up fast–and more serious medical expenses, like those incurred when your child has a serious illness, can be financially devastating. You don't want your child to ever miss out on needed medical care because your spouse is unable to afford it! Are there specific education expenses that are important to you? Do you want to give your child a leg up when it comes to paying for college? What about providing them with the ability to attend a private school in the younger grades? Carefully consider how you want to contribute to your child's education expenses. Consideration #2: Who Does Your Child Want to Live With? Is there one parent with whom the child has a better relationship? Is one parent moving out of the school district the child has attended all their life? Is there a specific reason–a parent's work schedule, for example–why it would be more practical for your child to live with one parent or the other? Be flexible about child custody arrangements. An arrangement that works great for a five-year-old may not work as well when your child is ten and in school–and it really may not work well for a teenager who wants to spend their weekends with friends or who has a club schedule to consider. Consideration #3: What Will Keep Your Child's Life Flowing Smoothly with Regards to Custody? Each parent wants time with your child–that's only natural. It's equally natural to want to fight for important moments: to argue over the noncustodial parent's weekends or weeks in the summer; to cling to holidays. As you're developing your custody plan–and more importantly, parenting your child together–make sure you think through some important moments. How do you want to handle sleepovers and time with friends? You don't want the custodial parent to constantly schedule sleepovers and events on the noncustodial parent's weekend. On the other hand, you don't always get to control when your child's friends have birthday parties, events, and more. Try to be flexible for your child's sake! It's tempting to want to cling to every moment you have with them, but remember, it's not about your comfort. It's about your child's. You don't want them to have to turn down every social activity that happens to take place on the wrong weekend. What do you want to do about sports schedules and other commitments? As your child gets older, they will want to be involved in more activities. Whether it's a sport they love or they have a deep passion for marching band, as they get older, more of those activities will fall on weekends–and that means that they're going to disrupt custody schedules. Look for ways to enjoy time with your child without limiting their participation in those important events. What's important to your child over the holidays? To a four-year-old, the most important part of Christmas is that Santa comes no matter where they are. As your child gets older, however, there will be other things that start to matter. For example, your child may struggle with the fact that they can't ever be present for Dad's family Christmas breakfast or that Mom's family always has Christmas Eve dinner without them. While it's not always possible for your child to be everywhere, be sure to take their desires into consideration so that they're able to be at as many events as possible–even if it's inconvenient for you. At the end of the day, your priority is your child. It's easy to use child custody arrangements and child support as a way to "stick it to your former spouse," but that's not what you want! Instead, keep your child first as you handle these critical issues throughout the divorce process. You'll often discover that this simple shift in perspective leads to happier, easier parenting throughout the next several years–as well as a more friendly relationship with your former spouse. Need help navigating that process? 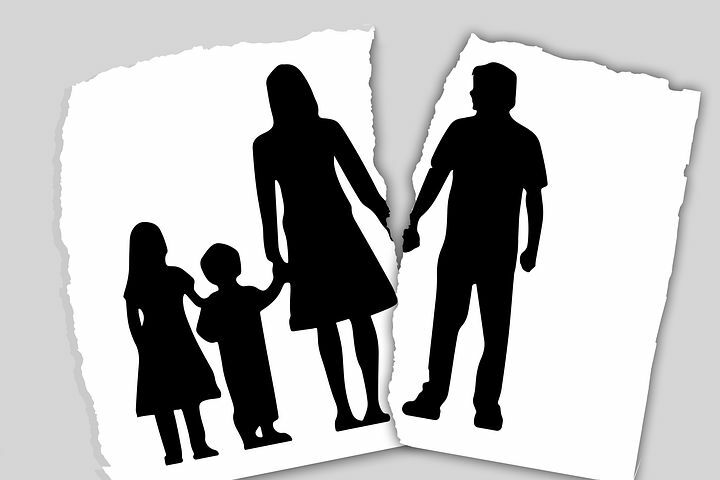 Contact Split Simple today to learn how we can make your divorce move more smoothly.